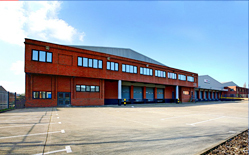 Rateablevalue.co.uk offers a service to owners or lessees of empty commercial properties in England and Wales*. If this is you and you are liable to pay empty property business rates whether your intentions are to let, sell or demolish the property, or if you simply wish to leave it empty Rateablevalue.co.uk could save you money. We could potentially save you up to 66% on your empty property business rates by providing you with short-term tenant and resetting the rates void period on your commercial property. It's a simple straightforward process designed to help potentially save you up to 66% on your empty property business rates. Simply complete our on-line enquiry form or call us on 01244 521 440. We will send you information regarding our service. If you are happy to proceed we will provide you with a minimum disturbance short-term tenant. This tenant can pay the business rates for the term of the Licence, however if you would prefer to pay the rates direct to the rating authority yourself then this can also be arranged. To enable occupancy, access will be required to the premises for the duration of the Licence. Once the Licence has ended, your property's rates void period will be reset.